All transfers by a private air-conditioned vehicle.. Pick up services from your hotel & return.. 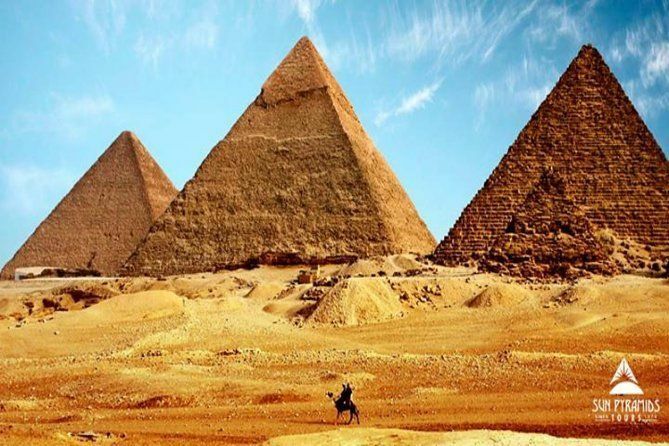 Private All Languages speaking Egyptologist guide.. Lunch meal will be served in a local restaurant..
Bottled water during your trip..
All taxes & service charge..
Any extras not mentioned in the itinerary..
Ramses II and the alabaster Sphinx of Memphis. Availability for shows cannot be checked without making a booking. Credit cards will only be charged upon confirmation of show availability.